I often rely on French skincare for a number of reasons. First of all, the products are usually targeted to specific needs. Second of all, they work wonders. La Roche-Posay is not necessarily a purse-friendly brand but it is more affordable than other premium ones hence I go back to it time and time again. I have some staples I like to repurchase- Effaclar Duo and Cicaplast Baume B5 being the ones that work for my skin. The first one improves the skin tone and any imperfections and the latter restores the top layer of the skin. The new offering though piqued my interest instantly. I'm usually the first person to jump up at anything hyaluronic acid based so this serum was no exception. It is meant to plump, hydrate and improve the appearance of the skin in general. 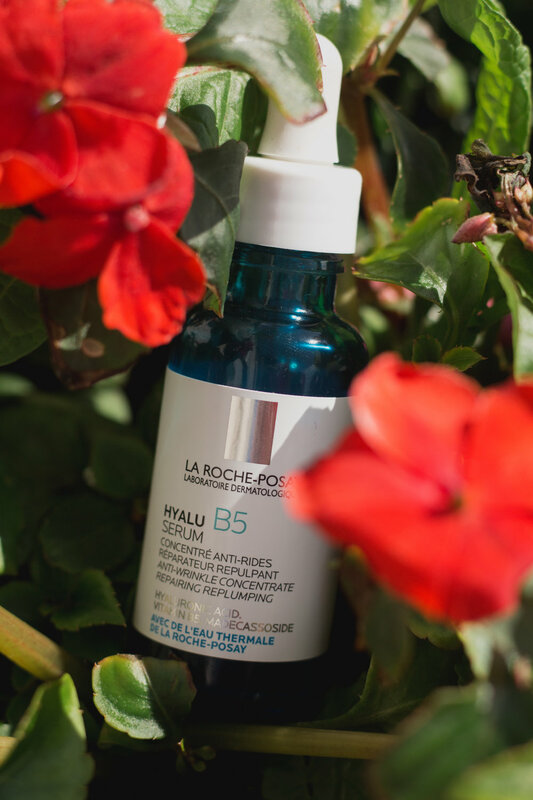 Designed for dehydrated / dry / mature skin this Hyalu B5 Hyaluronic Acid Serum is nothing out of ordinary. Not only does it contain hyaluronic acid which is known for its outstandingly hydrating properties but also it is infused with Vitamin B and madecassoside complex which replenish, repair and stimulate the synthesis of collagen. I'm not sure about long term results yet but I have been using it for a month now and my skin definitely has looked glowier and softer from the first application.